A new year is now definitely started, and events that were only looming in the distance, are now fast approaching. The ATW2015 and Eucass 2015 events directly organized by Eucass are getting closer with some good news (see below). Other events of interest for you are recalled here, and some useful info provided by our readers as well. The complete list of past newsletters is available at the EUCASS website here. Airbus Defence & Space have just informed us that they will be pleased to honour the best student paper with an award. As mentioned above, you can still submit your paper on-line if you want to compete until the end of March. The selection will be performed by the relevant EUCASS Technical Committee members. For more information, please follow www.eucass2015.eu. The details will be posted there very shortly. Mikhail Ivanov, an eminent scientist in the field of rarefied gas dynamics and shock wave physics and a prominent Eucass technical Committee chairman, would have turned seventy in 2015. To honor his memory, the Institute of Theoretical and Applied Mechanics and Novosibirsk State University are organizing a Workshop on Non-equilibrium Flow Phenomena on June 15-18 2015. The workshop will be held in Akademgorodok near Novosibirsk. The scope of the workshop will cover all topics related to rarefied and non-equilibrium flow phenomena, gas kinetic theory, physics of shock waves, spacecraft aerothermodynamics, and applications of particle methods to non-equilibrium flows. The workshop website is available here hosted by the Laboratory of Nonequilibrium Flows. The workshop webpage is available here. Congratulations To Volf Yakovlevich Borovoy On His 90th Birthday! Since last newsletter, a new issue has been published. The toc for the current issue is reported below for your convenience. Since last newsletter, three new issues have been published. 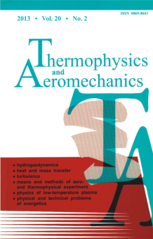 We have received two recommendations about the following journal by Pascal Willis, its Editor-in-Chief, and Luciano Anselmo of the Space Flight Dynamics Laboratory (ISTI/CNR, Italy). Below a little introduction and a free issue to start! For your information, issue 55(1) of Advances in Space Research - ASR - (COSPAR official journal) published on paper on January 1, 2015, will remain available free-of-charge without any paid subscription to this journal for a complete year, courtesy of Elsevier. Several of the published papers are certainly relevant for the Eucass community (see for example below the highlight of interesting articles of this free number to download). ASR publishes 24 issues per year (2 per month). Accepted papers appear online with a DOI in "accepted proofs" only a couple of days after acceptance and the journal accepts electronic supplements and supports OpenAccess. Published articles are referenced in Web of Science, Scopus and many other scientific databases. The journal also publishes Special Issues. The Impact Factor has been steadily increasing during the past decade and is now 1.238. Submissions can be done electronically at any time using the EES System at http://ees.elsevier.com/asr. After this first free issue already another five have been released. For your convenience, the toc of the latest issue (Volume 55 N.6) is provided below.